With tough soap scum on your sink, shower and tub, your bathroom probably takes the most time and effort to clean...and keep clean. 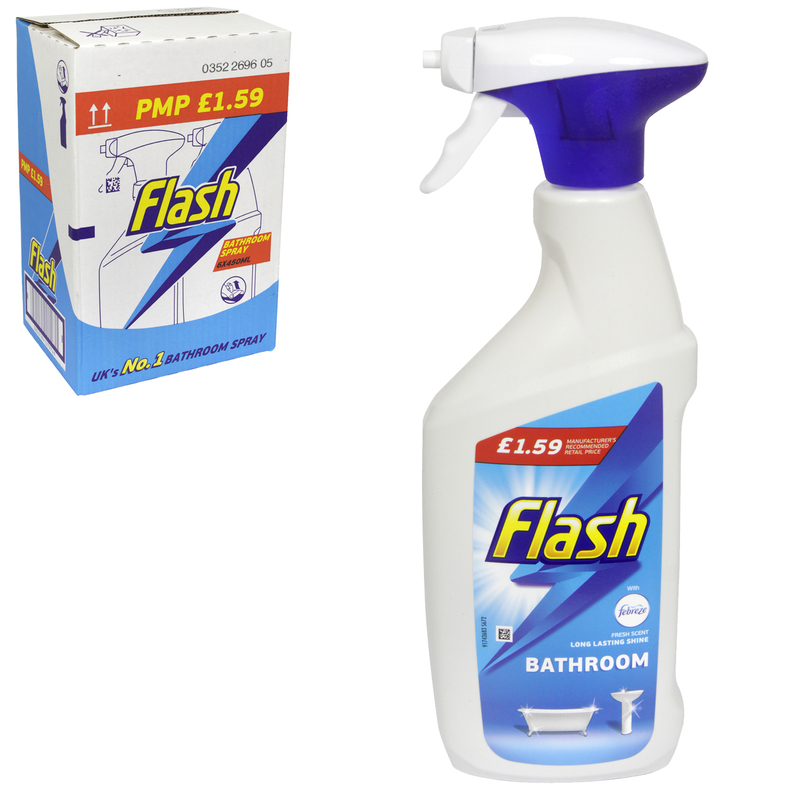 That’s why Flash bathroom spray cleaner with the freshness of Febreze has blended the cleaning power of Flash with the freshness of Febreze, to leave your bathroom shiny clean and deliciously fresh in no time! On top, its shine protect formula prevents watermarks and soapy water build-up, so you can keep your surfaces shiny longer. You can safely use this bath cleaner everyday on your bathroom surfaces: Bathtubs, Linoleum, Showers, Sinks, Toilets, tiles, taps.